Collector and philanthropist Sonja Bata, whose collection of global footwear treasures formed the basis of the Bata Shoe Museum in Toronto, has died. The museum’s acting director Sheila Knox says Bata passed away Tuesday evening at Toronto Western Hospital, surrounded by friends and family. She was 91. 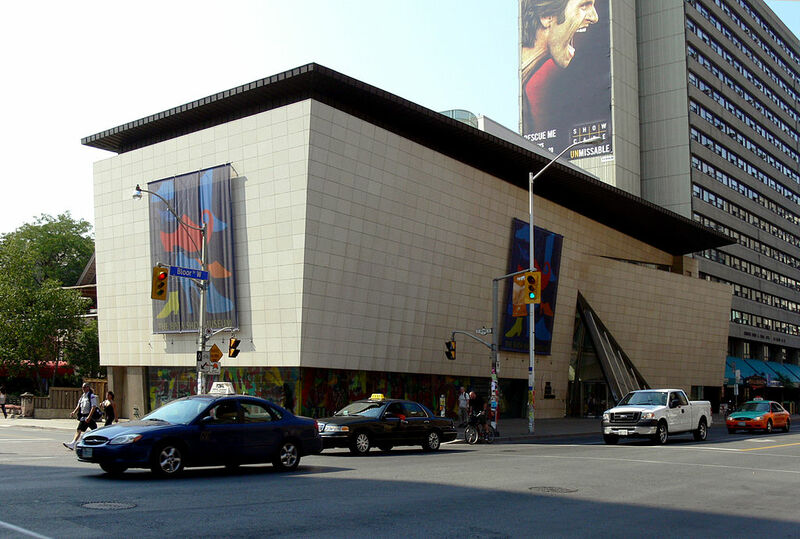 Designed by Raymond Moriyama, Toronto’s Bata Shoe Museum museum carries on Sonja Bata’s legacy. Photo by Gisling via Wikimedia Commons.